Japanese beverage giant Suntory has announced plans to expand production of coffee products by establishing a new factory in Ebina, Japan. The new factory, especially designed for freshly roasting coffee beans, is set to produce coffee products such as for Boss brand, to meet higher demands of these type of products. 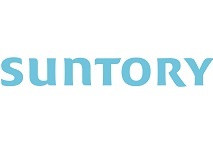 Suntory will invest $3.53 million in the new 5,000 sq m factory, which will have a production capacity of 14,000 tonnes. Construction is set begin by April 2017 and then plant is planned to start operating by summer 2018.